Expanded polystyrene (EPS foam) provides a lightweight (comprising nearly 90% of air) yet rigid, closed insulation and comes in different strengths and densities to accommodate various uses to withstand load as well as providing needed insulation. EPS has been a favorite material as it’s versatile, provides necessary protection and insulation without the extra weight, yet durable and strong enough to absorb shock effects. Raw beads (pictured below) are expanded via hot steam to create a pre-puff beads before transfered into a pre-designed mold. The beads are again steamed at high temperature, to form a block. The EPS blocks are then transfered to storage to age before being cut into different shapes and sizes. Fore detailed explanation on EPS, read here. EPS foam is durable enough to provide protection for packaging, and it doesn’t detoriate with age. From moisture, thermal, compression, and shock-wise, EPS does not absorb water/water vapour, making it ideal for cool/frozen products and the shape itself unchange; excellent for provide protection in materials (fresh produce, medical products to name a few) that are sensitive to temperature and fluctuations; as well as absorbs shock well, perfect material for protection for fragile materials (electronic products and even chemicals). 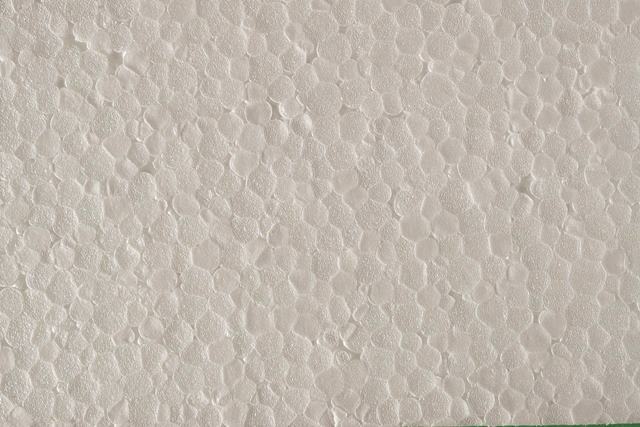 All in all, EPS foam is versatile – you can have it in various strength, shapes, and sizes for any purposes. Believe it or not, this material can be readily recycled, making it as one of the items considered as a “green product”. Click here to read more on EPS recycle process. The issue is since EPS products itself are quite large and takes a lot of space, making the whole transporting and collection of the used EPS costly – hence, the solution is a thorough partnership with companies that uses EPS to collect the used materials together and shipped it to a nearby facility where it “can be aggregated and either compressed or densified” (quote from the link here) for effective transportation. EPS foam is not suitable to be used with organic solvents, unless they’re in a bottle of their own. And although EPS is resistant to heat, they can be flammable if the material is oil painted. Insulation and uilding applications: Used in closed cavitites in walls, roofs, and floor to name a few. For forecast on EPS, click here to know more. Damaged Cargo: What Should You Do?